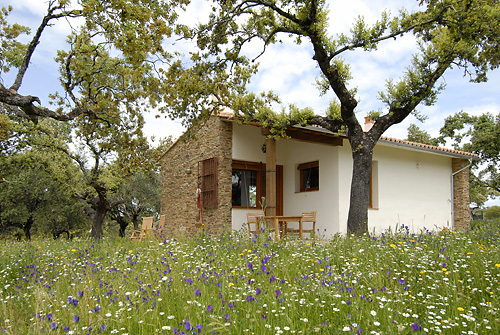 Finca Las Abubillas is situated very close to the National Park of Monfragüe. And belongs to the "Reserva de Biosfera", which includes special rules for nature, human activities and conservation. 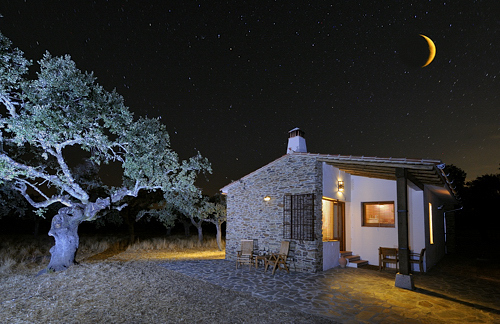 In the midst of a beautiful dehesa, surrounded by ancient holm-oaks, we offer four one-bedroom and one two-bedroom holiday-homes. 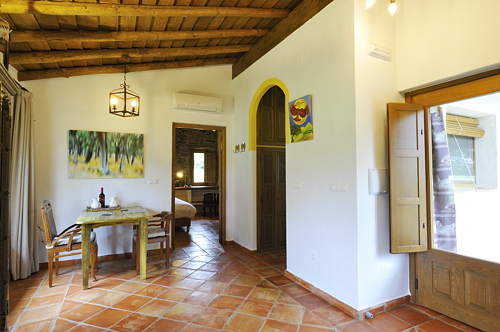 Your stay on our “Finca Las Abubillas” will be a very pleasant one, for sure! 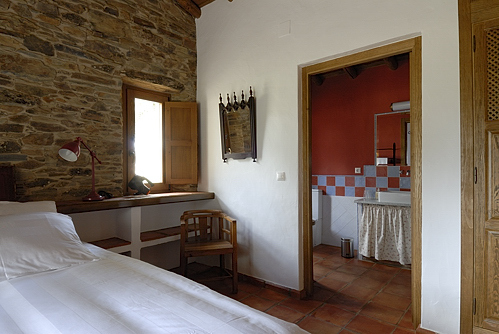 All chalets are spacious and in the real style of Extremadura. 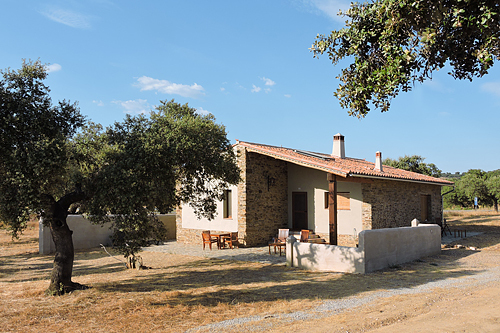 The chalets are situated in a beautiful holm-oak dehesa. 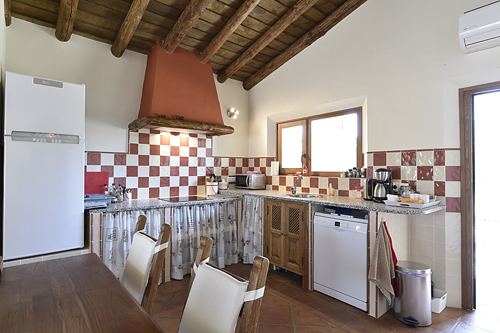 Your chalet contains luxury equipment: fully equipped kitchen with dishwasher, microwave etc., twin beds, ample bathroom, comfortable seats inside and outside. 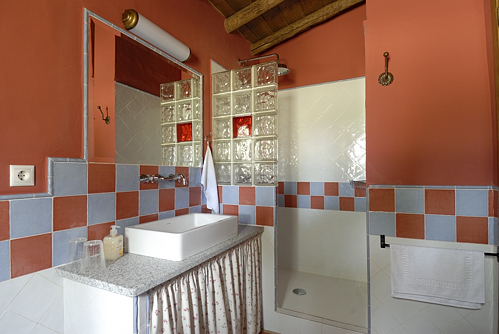 The four person chalet has two seperate bedrooms, each with their own private bathroom. You have your own private terrace. 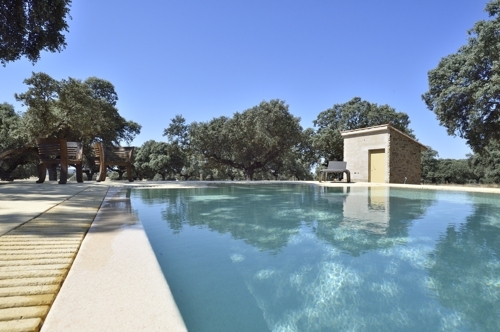 Lovely swimming pool of 5 x 12 metres during the summer. 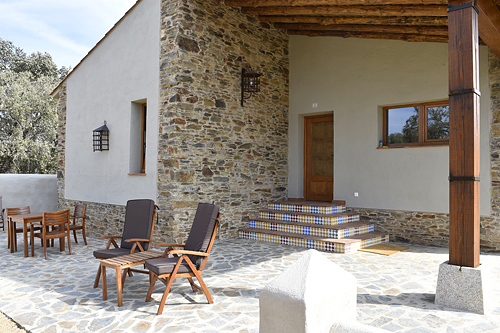 Finca Las Abubillas is only 500 metres from the village of Jaraicejo (bakery, butcher, pubs, supermarket and restaurant). 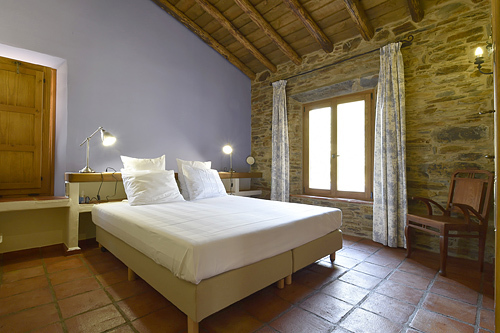 Day of arrival and departure: completely flexible. You choose!